State Duma Deputy has submitted a proposal that would outlaw canvas sneakers, ballet flats and high heels in the Customs Union. 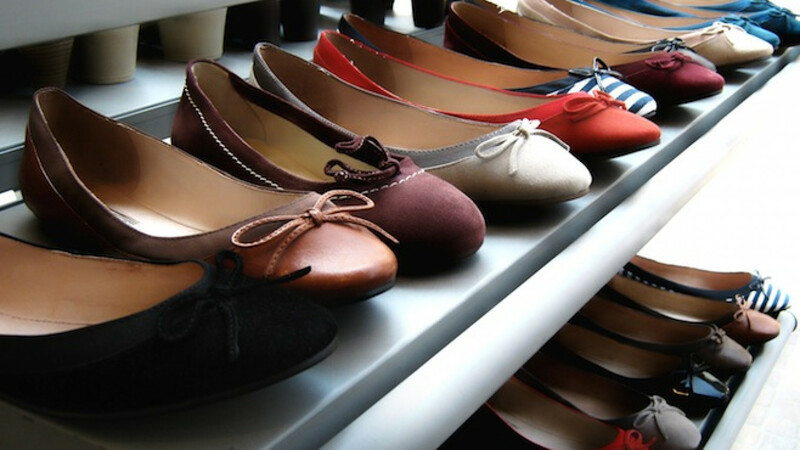 An opposition lawmaker has submitted a proposal that would outlaw canvas sneakers, ballet flats and high heels in the Customs Union because of the health risks they pose to the wearer, a news report said. State Duma Deputy Oleg Mikheyev from the opposition faction A Just Russia sent the to Viktor Khristenko, the economic chief of the Customs Union — comprising Russia, Belarus and Kazakhstan — asking him to add orthopedic regulations to the coalition's codes, Izvestia reported Thursday, citing a copy of the letter. Mikheyev blamed heelless footwear, such as canvas sneakers and ballet flats, as well as stilettos for various foot disorders — particularly flat feet, which he said hobbled 40 percent of adults, Izvestia reported. Canvas sneakers appear to have also affected the battle-readiness of the Russian army, with flat-footed young men being drafted into service for the first time this year because draft committees could not find a sufficient number of nimbler conscripts, Mikheyev said, according to the report. "In the past, it tended to be women who suffered from uncomfortable shoes because the lion's share of complications was caused by high stiletto heels," he said. "But now the at-risk group also includes men. Fashionable canvas sneakers, loafers, moccasins without heels are also dangerous to health." Orthopedic surgeon Vladimir Khoroshev concurred that high heels or flats could cause health problems, running down a list of the potential dangers posed by heels higher than 4.5 centimeters that included memory loss, skeletal problems and uterine prolapse, Izvestia reported. A spokesperson for the Eurasian Economic Commission told Izvestia that the union did not envisage a procedure for writing amendments into the existing regulations, as Mikheyev had proposed doing. His appeal nevertheless would be considered, the spokesperson added. A law banning the production, import and sale of lace underwear recently went into effect in the Customs Union, though attempts to enforce it earlier this year prompted a series of protests across the country, with women taking to the streets with lace underpants on their heads.